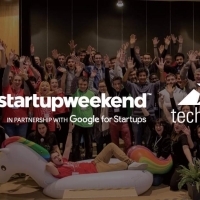 Techstars Startup Weekend is a three days «hackathon» for IT startups. In just 54 hours you'll meet the very best mentors, investors, cofounders, and sponsors who are ready to help you get started. Techstars Startup Weekend within support of “Google Entrepreneurs” creates an unique business environment to let you experience the highs, lows, fun, and pressure that make up life at a startup. 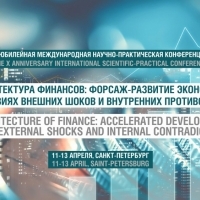 Saint-Petersburg State University of Economics on 11-13 April 2019 invites you to participate in THE X ANNIVERSARY INTERNATIONAL SCIENTIFIC-PRACTICAL CONFERENCE “Architecture of finance: accelerated development under external shocks and internal contradictions”. We invite you to participate in the XIV International scientific-practical conference «Modern Management: Problems and Prospects», that would be held on 25-26 of April 2019. WORK LANGUAGES: Russian, English. The winning team will receive a job offer at Schneider Electrics and international trip to any country a company has an office in. 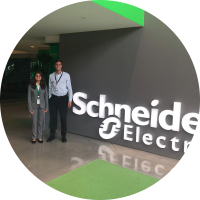 Top 8 teams will be also invited to present their projects at Schneider Electrics Global Innovation Summit in Barcelona.